A Day in The Dog of the Day’s Life! 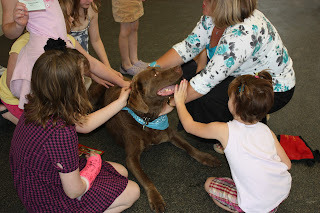 The day he volunteered as an animal assisted therapy dog. Bark at the birds, the air, the sunshine. What a great day! Quick nap in the sun. Nudge the books on the coffee table and lock myself in the bathroom. Flip the toilet seat up and down until help arrives. Share more love and wet kisses. And the day and evening pretty much goes that way. A happy, loving, playful dog who seemed to bring 100% of himself to the world every day. Wishing you a playful, loving and purposeful week! Whose the top dog at your house? Eileen Proctor- The Top Dog! 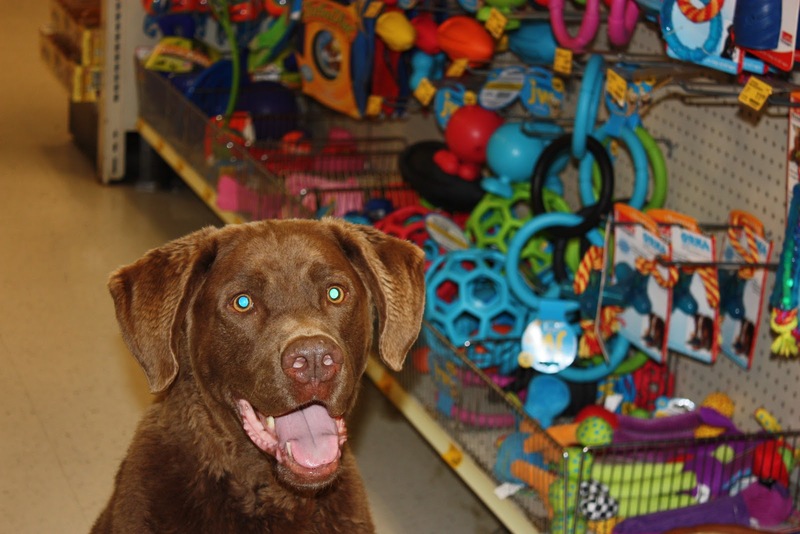 - Set rules and parameters for your pet, then ensure family and visitors follow the rules too! - Ensure you provide bonding time- this could happen through quality play time, training, etc. - Enjoy the moments that our furry friends give us. 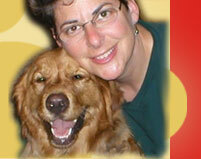 As the pioneer of the dog daycare industry within Phoenix's Valley of the Sun in October 2000, national Pet Lifestyle Expert Top Dog Eileen Proctor has been privileged to become "Aunt Eileen" to thousands of K-9 Kids, bestowing biscuits, balls and bellyrubs to mixed breed and purebred puppies, adult and advanced-age dogs alike. This unique and extensive "paws-on" experience... coupled with her steadfast commitment to and involvement with dozens of animal welfare organizations, has earned Eileen the titles of America’s Canine Connections Coach and The Voice of Pet Rescue. The Top Dog is a coveted national media personality, professional speaker, published author of “Top Dog’s Top Tips for Tip Top Dog Care: What Your Best Friend Wants You To Know”, as well as the inimitably charismatic and infotaining host of Blogtalk radio’s FURvently Speaking. If you can't join us live, no problem, you can click the link and listen to the down load. Don't forget to click the "Follow" button under Toby's picture on the blog talk radio link, then you will receive emails of the upcoming shows. And, click this blog to follow the blog. an online bookstore that also provides book reviews that help parents, grandparents, educators and those interested in purchasing great quality children’s books. Slimybookworm selects books that give the reader good value. Bola offered some great insights about the value of book reviews, including the fact they are a useful tool for parents, grandparents and educators in choosing books that are well written, and have been “vetted” as appropriate content for children. - Do your part to help share and promote the review (e.g. post on social media, blog about it, put the review on your website, etc). Other features such as stickers, pull out card, Q&A at the back of the book are all great ways to create a higher level of engagement between the reader and the book, and these are great added value. These are the types of books that people are more likely to pick up for gifts for children. 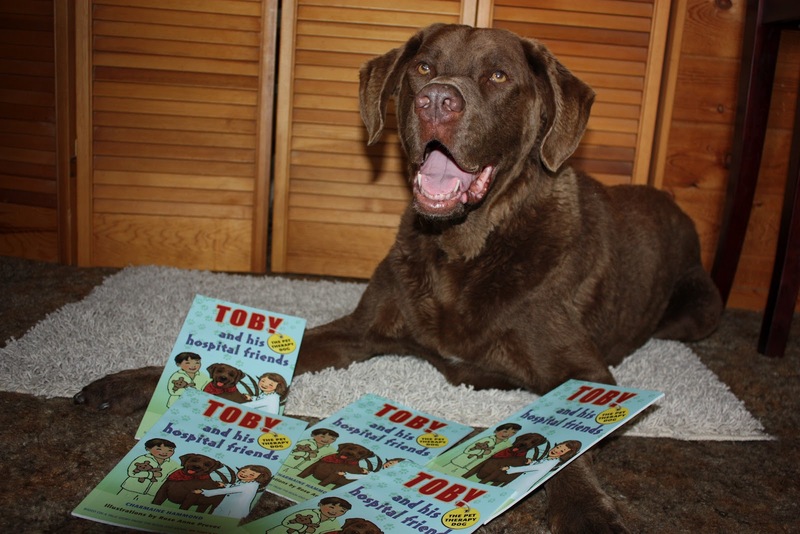 We are learning that readers love the questions we included at the back of Toby's book, the questions encourage conversations about animal assisted therapy, kindness, and friendship. Toby The Pet Therapy Dog & His Hospital Friends arrived. Can you imagine going through a difficult time in your life, and not having the resources to take care of you beloved pet, and therefore having to surrender your furry family member to a rescue organization? Sadly, that is the reality for many individuals and families. Lynn Molnar is the founder of Thankful Paws Inc. As a volunteer and host of various fundraisers for local animal groups and causes - Lynn decided to broaden her horizons by forming Thankful Paws. 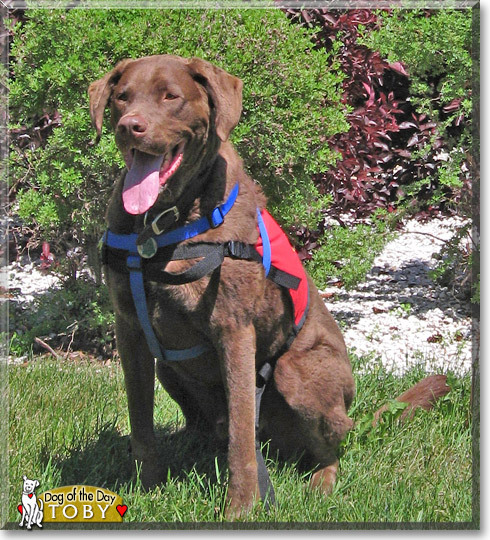 She helps individuals and families care for their pet when difficult times jeopardize the family. 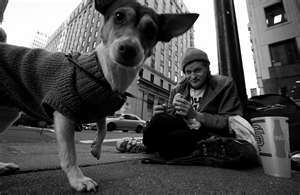 Thankful Paws provides pet food, pet supplies, blankets and other necessities for animals when their family is struggling to meet their needs. I was so inspired by Lynn’s story and what she is doing to PAW it Forward! Food Banks are such an important pillar in our community. For many reasons, food banks don’t have pet food so what Lynn is doing, is meeting an important need. Thankful Paws mobile food bank for pets provides an extremely important and well needed service in the community that Lynn resides. Her priorities are providing service to senior citizens, homeless individuals and veterans. Lynn has a big vision for Thankful Paws, it is her hope to expand this organization to be a nationwide service. 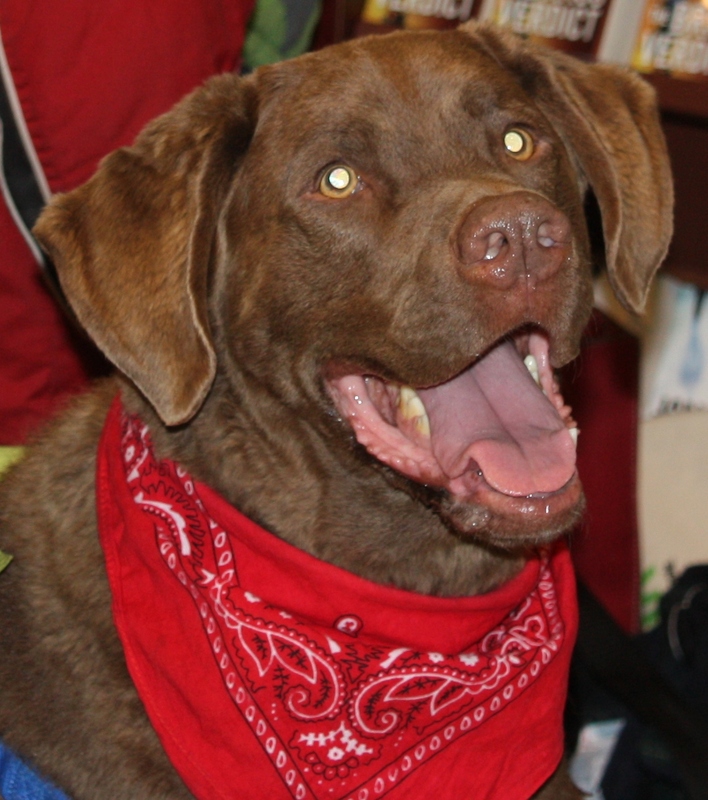 You can listen to the incredible conversation we had on PAWsitive Radio, all things pet show! Thank you Lynn and Thankful Paws for what you do to make our world a better place, for us all! The PAWdograph! How Dogs Leave Their Mark in the World! 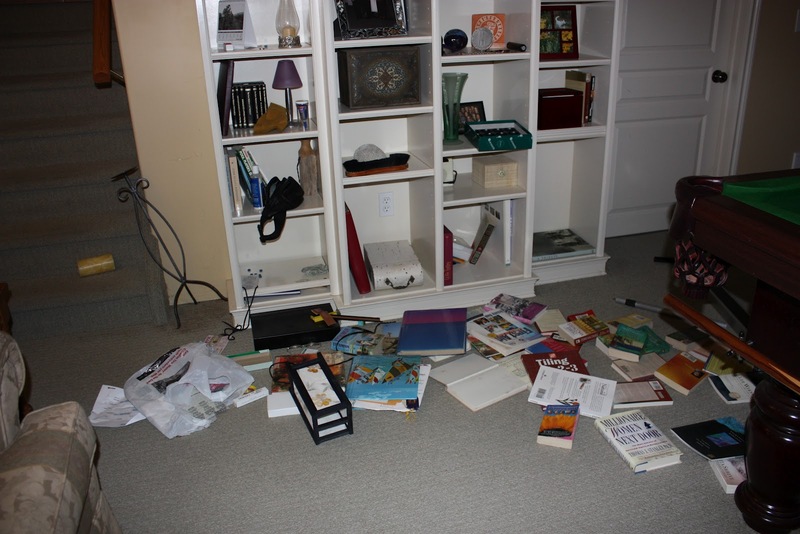 Animals leave their mark in many ways... our dog Toby, a Chesapeake Bay retriever, left his mark by PAWdographing his books. He PAWdographed books for many people, and enjoyed every minute of it! Check out the little girl in this video as she prepares for a noisy Toby PAWdographing of her book On Toby's Terms at a booksigning on Toby's book tour. 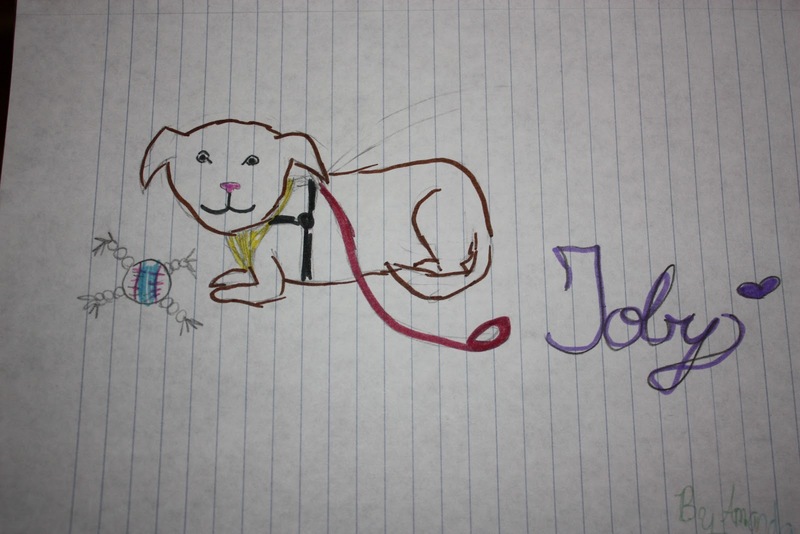 After PAWdographing a book for another young fan, she drew us a beautiful picture of Toby... what a way to leave her mark in the world! What do you do to leave your mark on the world?﻿ Listen to a great conversation with Lynn Molnar as she talks about the organization she started, Thankful Paws http://www.thankfulpaws.org/ a mobile food bank for animals! I just love this concept and what Lynn is doing to make a difference in the world! Her program is saving lives and keeping families together. Remember, sign up to follow the show by clicking "follow" under the photo on the blog talk radio page. To follow Toby on Twitter, @ontobysterms. "I have always been a firm believer that animals, dogs especially, can help people deal with all sorts of tragic experiences, from accidents, illnesses and abuse. Toby actually reminds me of my childhood dog, Mahogany, who helped me through so much, as she knew when I needed her companionship the most. Toby The Pet Therapy Dog has touched my heart and I cannot read it without choking up during several heartfelt moments in the book. 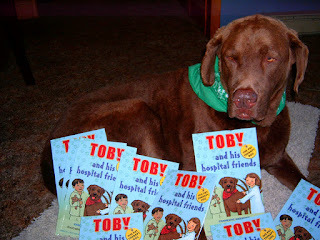 My son loves hearing about Toby and all his hospital friends and it is teaching him about showing kindness to others. Gavin, my son, asks for Toby as his bedtime story every night and wishes he could meet Toby and give him a big hug. Dogs That Live BIG Lives! I read A Big Little Life by Dean Koontz, shortly after our precious Toby passed away. As Dean described the story of his incredible dog Trixie, I found myself reflecting upon and smiling at the treasured moments I had with our Toby. Both Dean and I agree that dogs bring their family unconditional love, pure acceptance, and some great memories. Both Trixie, and Toby lived BIG lifes, and have quite the legacy! 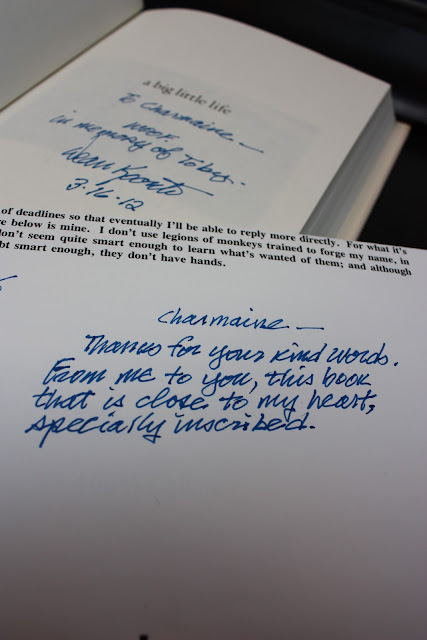 After reading the book, I sent Dean Koontz a copy of my book, On Toby's Terms, and I received back a signed copy of his book with a beautiful inscription and personalized note. This was quite an honour to say the least. Dean Koontz does so much to support animal organizations and charities, in addition to being a phenomenal author. How are you capturing your moments of your pet living his/her BIG LIFE? I would love to hear how you capture the treasured moments. One of my favorite dog accessories was this plastic container that clip to Toby’s dog leash. It held one roll of “pooper scooper” bags. I can’t get over the cost for the refill bags, $120 bags for less then $7! Toby was a very strong dog, however fortunately for us, he was a good walker. We loved the Easy Walk Leash becuase it is safe, doesn't harm the dog and provides the handler with good control of the dog in a gentle way. You might be wondering what Toby is so focussed on here. He is waiting until we say "take it" so that he can have his squeeky bowling pins. They sound just like a duck. He had a set that were blue. Check out this video and see his excitement (and the great duck noises he was able to make). What You Can Learn About Life...From A Dog! What are the greatest lessons you have learned from your pet? This is a topic I love talking about. 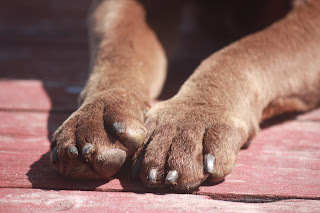 Recently, Flora Brown interviewed me on her radio show and we talked about the lessons we can learn from a dog, more specifically, the lessons I learned from our dog Toby. Patience. Persistence. Unconditional Love. Passion and Purpose. To mention just a few.... We often returned home to find a mess such as the above photo... however, once we found Toby a job, volunteering as an AAT (Animal Assisted Therapy dog), Toby's energy was channelled into something more positive. 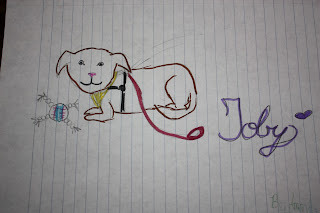 Following the interview, Flora wrote a beautiful blog, and included a poem she wrote about her dog, check it out here! When you are open to learning, animals have much to share with us. I would love to hear the lessons you learned from animals. Dogs who leave PAWprints on Hearts! Shortly after our precious dog Toby passed away, a friend sent me this poem. I have read it many times since. The author, Beth Norman Harris, has done a beautiful job of capturing what our furry friends communicate to us in many ways. Our Toby left pawprints on hearts around the world. He presented with me to 10,000 students across North America, raised thousands for charity, volunteered as a pet assisted therapy dog for 4 1/2 years, is the star of several books and a soon to be motion picture(check this out: http://www.indiegogo.com/On-Tobys-Terms-The-movie. But most importantly, he left a pawprint on my heart....one that is with me forever. more grateful for kindness than the loving heart in me. teach me the things you would have me learn. footsteps fall upon my waiting ear. glory then the privilege of sitting at your feet beside the hearth. and able to protect you with my life, should your life be in danger. and sight, do not make heroic efforts to keep me going. I am not having fun. Please see that my trusting life is taken gently. that my fate always safest in your hands. Listen to two fantastic guests, Lisa Litwinski and Keri Lake as they talk about how animals communicate, the animal human bond, and how we can ensure our adopted animals become part of our forever (or should i say FURever!) family. When Toby and I would travel north America sharing his story, we would often talk with children about how we became Toby’s forever family. This often opened up a dialogue about pet adoption, we got to hear so many heartwarming stories. I am really enjoying hosting my own pet related radio show PAWsitive Radio! It was our dog Toby, the star of my books On Toby’s Terms, and Toby The Pet therapy Dog, that inspired me to keep the conversations going. 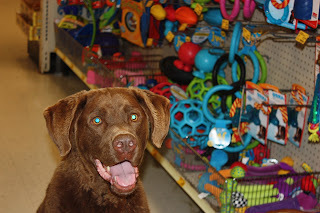 My recent guest Craig Haverstick met in California at a Pet Expo. His dog Stanley could have passed for Toby’s brother. Toby and Stanley had the chance to play and surf together at Dog Beach in Del Mar California, and it was Craig who taught Toby how to surf. Toby's first surf board lesson- Craig got Toby surfing in no time at all! The importance of pets having a job. 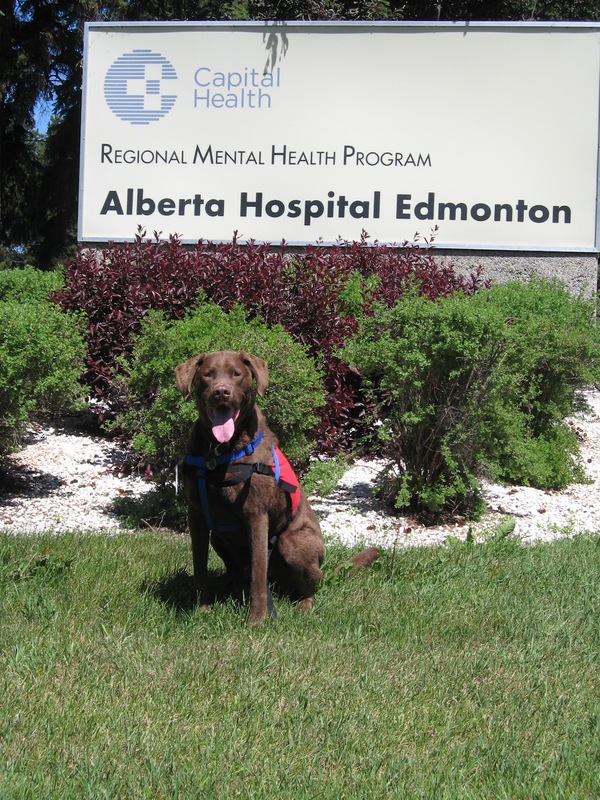 Our Toby volunteered as a Pet Assisted Therapy dog at a local hospital, it had a profound (positive) effect on his behavior and gave Toby and I a purpose together. Follow PAWsitive Radio Show on Saturdays 2 pm PST, 3 pm MST. We would love to hear who you would like to hear interviewed… maybe it’s you? The Oceanside Public Library recently received a California State Library Get Involved: Book-To-Action project grant to do a series of book discussions and a civic engagement project. 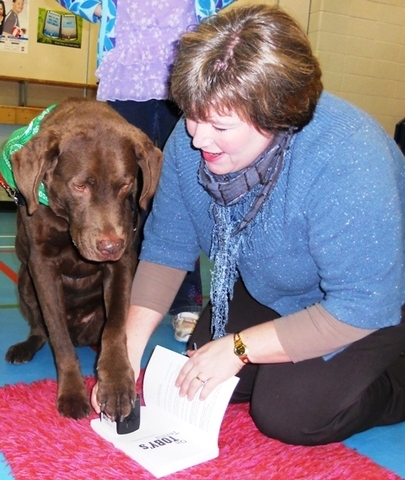 The program is entitled Paws to Help: READ-MEET-ACT. What a great way to combine literacy, a rescue organization and volunteerism! The Library has chosen my books On Toby’s Terms (for the adult program) and my book for children Toby the Pet Therapy Dog and His Hospital Friends. The books will be read and discussed through April and early May 2012 to encourage dialogue about volunteerism and the importance of both humans and pets giving back to the community. Toby with his book the day they arrived from the publisher! The Library is proud to be partnering with the San Diego Humane Society and SPCA in Oceanside and will culminate the events with a volunteer project distributing flyers with animals’ pictures and adoption information and a mobile adoption event held at the Civic Center Courtyard and Plaza at 330 N Coast Highway on Saturday, June 2 from 10 am-2 pm. Copies of the book On Toby’s Terms will be available at both Library locations until supplies last, and there are also copies to be checked out. The events are free and open to the public. Volunteers are also being recruited to start a Homework Helper program in the Civic Center Library and Mission Branch Library. If Animals Could Talk….wait a minute, maybe they can! I had the pleasure of interviewing Kerri Lake, who is a conduit for interspecies communication. Kerri shared that throughout her life she has been aware of various levels of communication between people and animals and has developed both her own ability to communicate as well as her ability to guide others through their natural abilities as well. Through Kerri’s incredible communication skills, she facilitates a space of no judgment, where healing and growth on all levels can and does take place. Her presence and guidance invite a sense of harmony, a tangible feeling of being at home within ourselves and with all of life. What was so interesting during this interview were the parallels between Kerri describing the communication between animals and humans, and amongst humans. For example, Kerri stated that with animals, it confuses them when your actions, and emotions and words are not congruent. She gave an example of a person riding a horse, and the rider was giving the command for the horse to go straight, however the horse stayed still. Kerri asked the rider to consider if he/she was fearful of riding, or was content to stay where they were. The animal was listening to the energy and the emotion of the person, not so much the words. Here is Toby and I with singer Rick Springfield... I am sure is just wanting the teddy bear that is sitting on the table (that he already "borrowed" from Rick several times by the time this photo was taken. I certainly noticed this with our dog Toby on many occasions. He seemed to intuitive and connected to people that he often reacted not to what we said but to what had changed or what was being communicated emotionally. Kerri explained that animals are who they are all the time, unlike people who often act differently or have a different intention or expectation than the one they communicate. One key is to simple be present. Then to be open. And to notice.